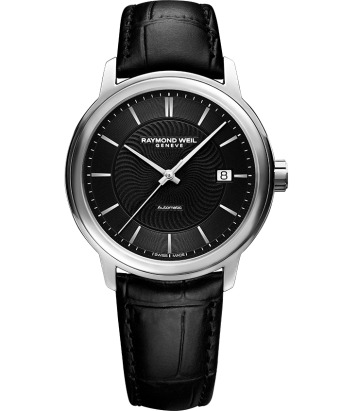 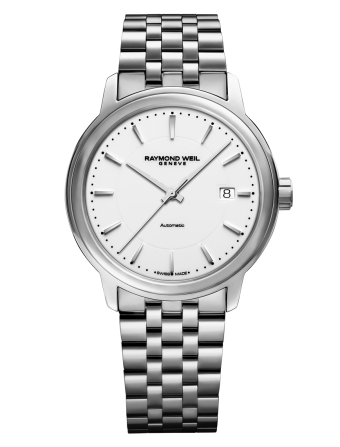 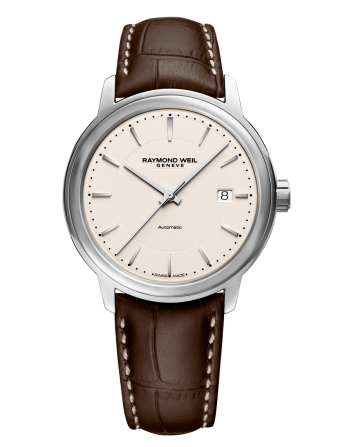 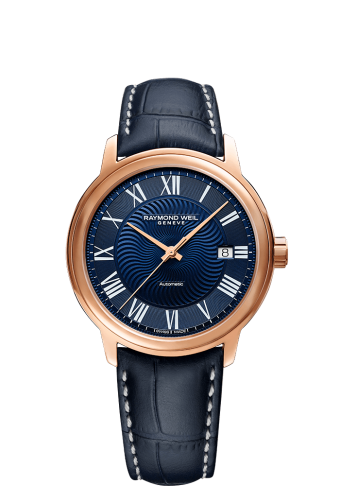 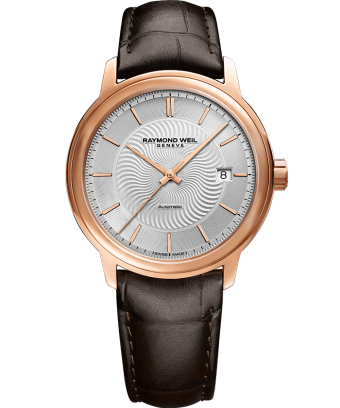 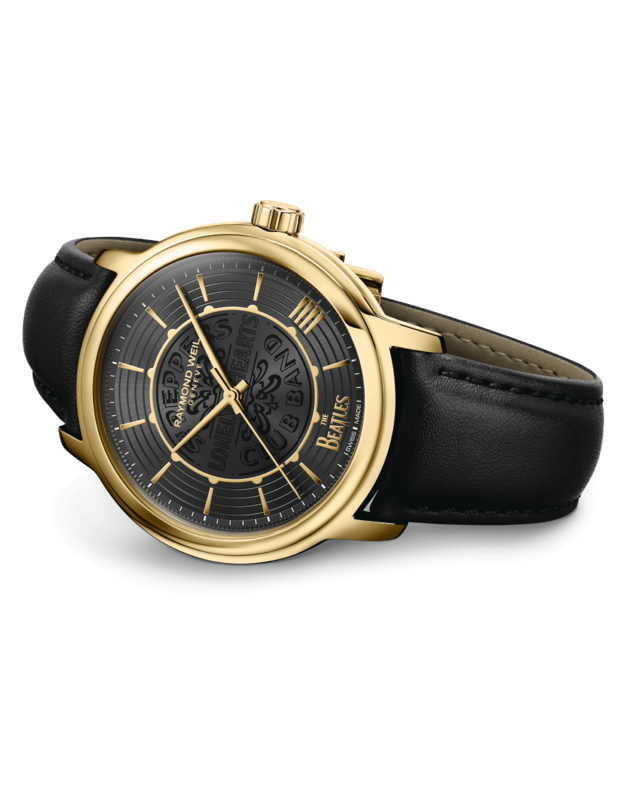 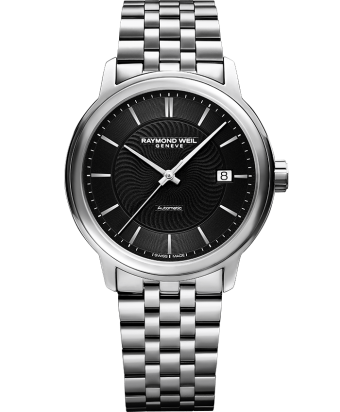 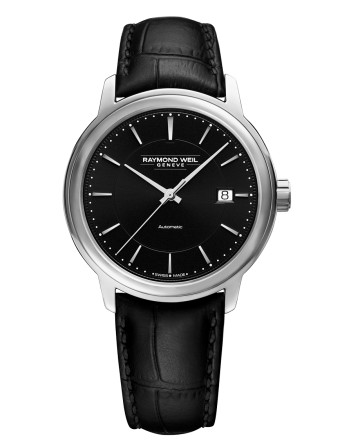 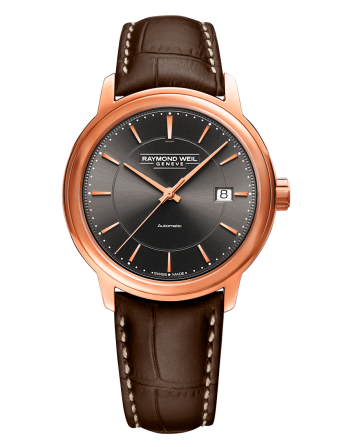 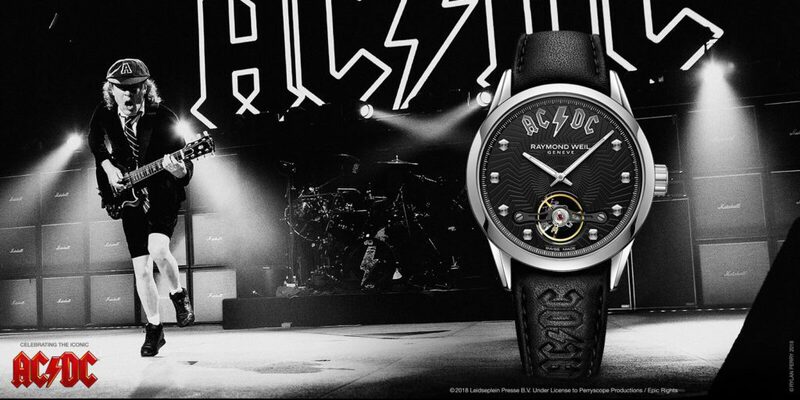 The black strap is the first from RAYMOND WEIL made from Vegan leather. 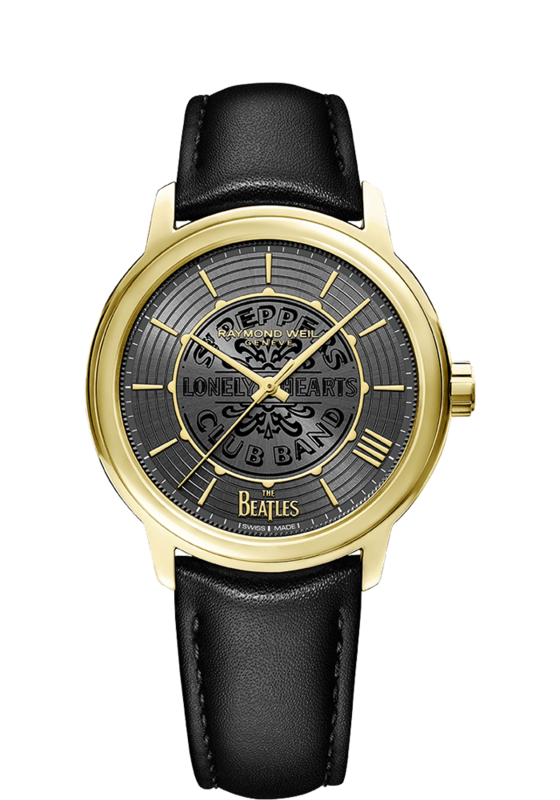 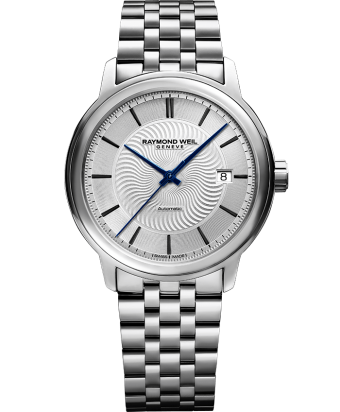 The case-back presents a smoked sapphire crystal that carries the official The Beatles logo and the limited edition number engraved. 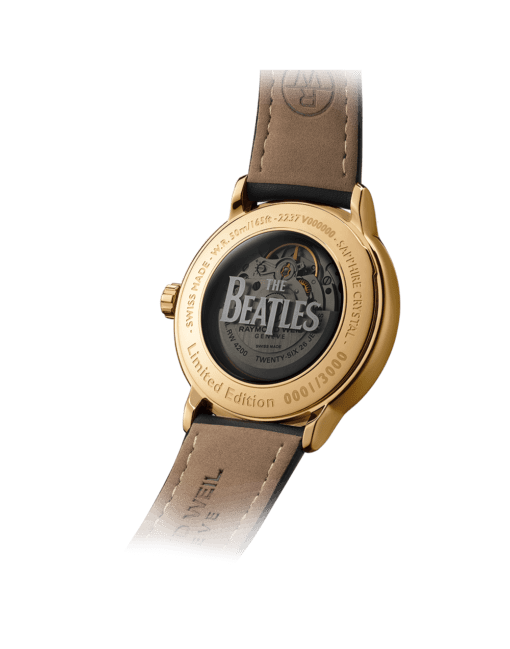 Presented in a dedicated watch box celebrating the music icons, each maestro The Beatles Limited Edition timepiece expresses all of its personality through this colorful showcase. 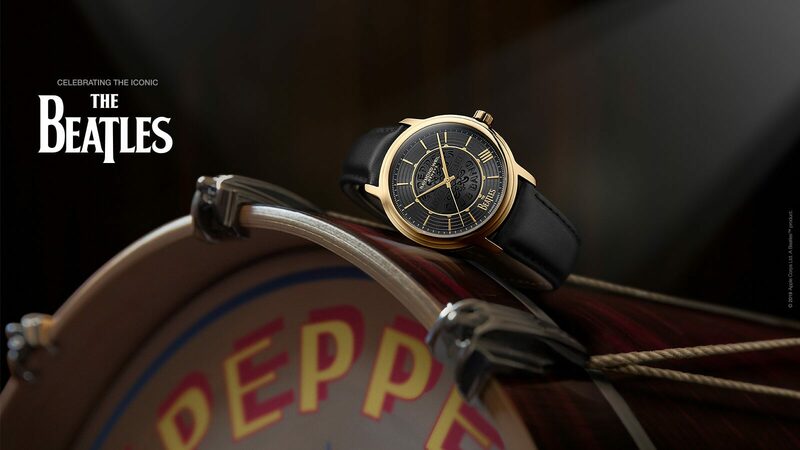 Created from bright shades based on the famous suits that the band wore on the cover of the Sergeant Pepper album, the watch box pays homage to each of the Fab Four on each side of the box, with the Sergeant Pepper drum graphic and The Beatles logo stamp of approval inside. 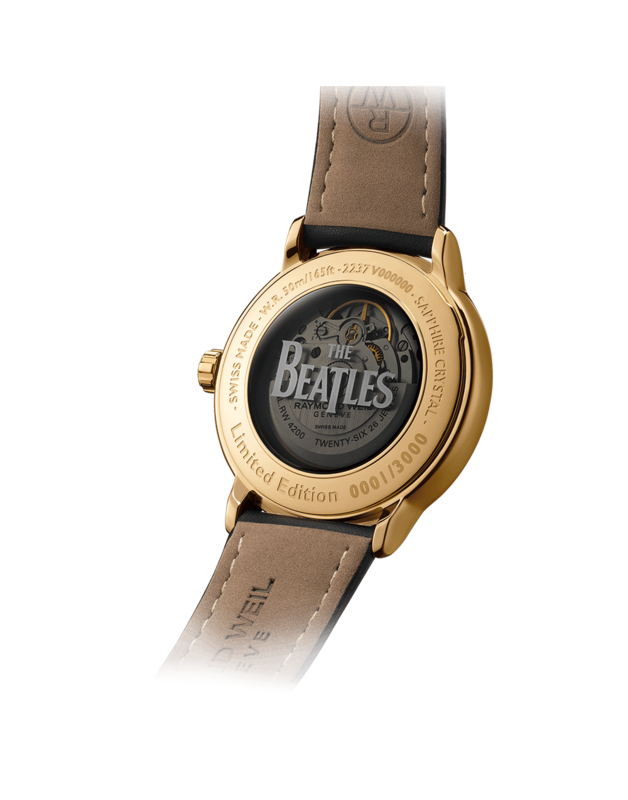 I’m a Beatles fan, like probably most other people, but it is true that I have become even more so through meeting the passionate collectors and fans of the band. I have come to grasp the respect and fascination they arouse in people and the impressive heritage that the group left to music. 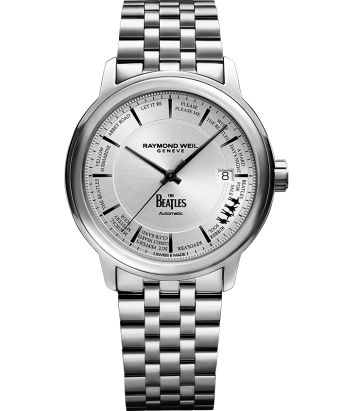 The Beatles have transcended time. 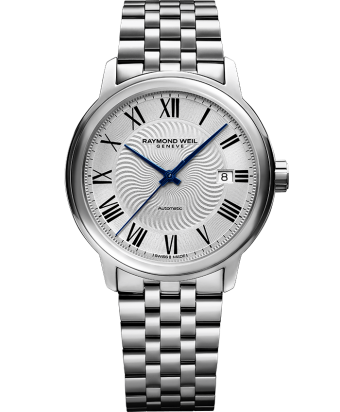 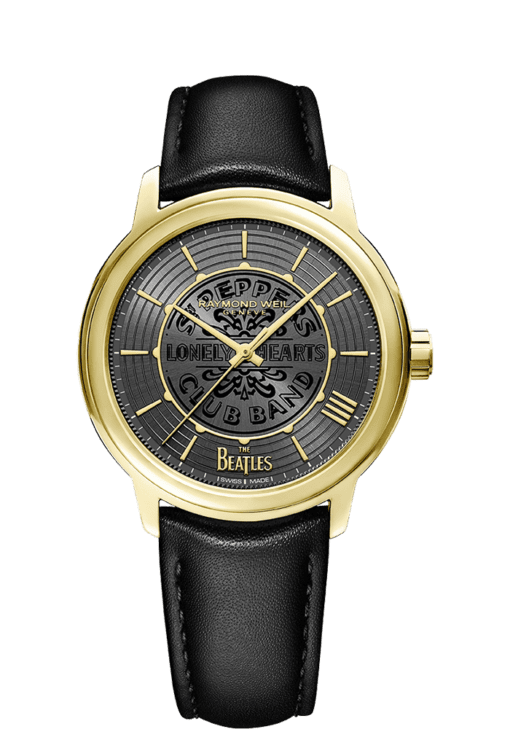 This new maestro Limited Edition is inspired by the legendary Sergeant Pepper’s Lonely Hearts Club Band album and stands out through its use of innovative material and design. 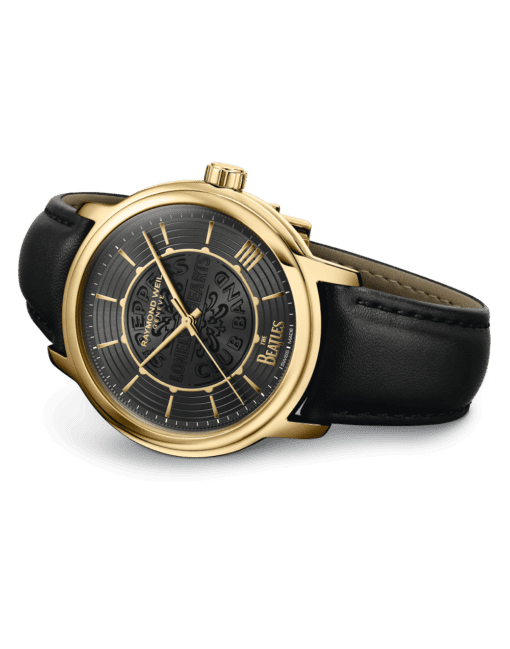 This timepiece features a RW4200 mechanical self-winding movement housed in a 40mm polished yellow gold PVD plated stainless steel case, offering 38 hours of power reserve.